For lovers of the world of Pokémon we give you the opportunity to test your knowledge in a Pokémon quiz game. Choose one of the four possible answers to get the highest score. In this game you can train your memory and learn a little more about Pokémon. This fun game can be made from any device: Smartphone, tablet and PC. Dare and click on this exciting game to find out how much you know about Pokémon. Good luck!. 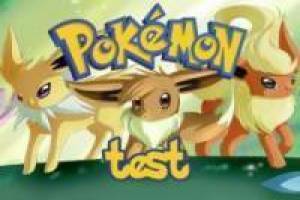 Enjoy the game Test Pokémon, it's free, it's one of our pokémon games we've selected.